The igus® dry-tech sample box helps select the perfect plastic bearing for any application. Containing more than 50 self-lubricating bearing samples and a selection of overlays, which filter the selection by application criteria, the dry-tech box also includes key material data of each bearing, making the selection process simple and precise. Request your own complimentary dry-tech sample box today! A team of Northwestern Engineers has created a new way to print three-dimensional metallic objects using rust and metal powders. While current methods rely on vast metal powder beds and expensive lasers or electron beams, Northwestern’s new technique uses liquid inks and common furnaces, resulting in a cheaper, faster, and more uniform process. The new method also works for an extensive variety of metals, metal mixtures, alloys, metal oxides, and compounds. 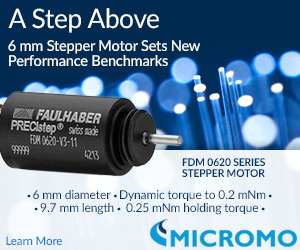 Get maximum power in a small space with the FDM0620 series stepper motor. Flying may once have been a privilege of the gods, but today, traveling by air is taken for granted. The motto is larger, faster, and further -- but also safety first. Every component used in an airplane must be “airworthy,” which means reliable, durable, and as light and small as possible. This also applies to acoustic sound transducers that generate warning sounds during automatic processes, such as closing the cabin doors of the Airbus A380. Besting the light-sensing capabilities of the Microsoft Kinect sensor, researchers from MIT's Computer Science and Artificial Intelligence Laboratory (CSAIL) have created a new infrared depth-sensing system, built from a smartphone with a $10 laser attached to it, that works outdoors as well as in. A GE Global Research team, partnered with Amphenol Advanced Sensors, Ford Motor Company, and the University of Michigan, is using a physics-based modeling approach called the "digital twin" to achieve its goal to markedly shrink the number of battery cells needed for hybrid vehicles and shave battery production expenses by 15 percent, all while maintaining long-term reliability and life. Everybody needs a helping hand, and sharing your story just may get you one. Maybe you have difficulties staffing the night shift, you want better quality control and consistency, or you simply need to optimize your production to get ahead. Tell Universal Robots about it, and you might score one of three collaborative robots up for grabs to turn your business goals into reality. To keep up with the demands of advanced warhead technologies, engineers at Picatinny Arsenal in New Jersey have developed an initiative called "Fuze and Power Technologies for Munitions." Its mission focuses on cutting-edge technologies that will enable increased lethality, range, and effectiveness in all munitions, all while maximizing safety to the warfighter. A fuze is a mechanical or electronic device used to initiate the explosive train. It can be found in everything from mortar and artillery rounds to missiles and other projectiles. 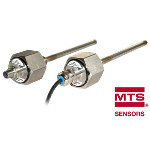 MTS Sensors has updated its widely used MH Series of magnetostrictive linear position sensors by introducing a threaded flange option. The MH5 threaded device is a highly robust in-cylinder sensor optimized for mobile applications (such as crane outriggers), as well as fuel-tank level measurement. The sensing device delivers high-performance operation, with a +/-0.1-mm typical resolution, repeatability of +/-0.1 mm, and a +/-0.04 percent linearity (full scale). Stroke lengths up to 2,500 mm are supported. The sensor rod is available in 7-mm and 10-mm diameters. Operational temp range from -40 deg C to 105 deg C. Featuring Temposonics magnetostrictive technology, these devices are not vulnerable to vibration, shock, dust, or electromagnetic interference. Goodfellow and German technology company Acquandas have formed a new partnership to offer micro-patterned, 2D, and 2.5D integrated multifunction miniaturized components and coatings with superior performance properties. Materials available include nitinol (NiTi) and other superelastic or shape-memory alloys, bioresorbable alloys, magnetic materials, and electrical alloys and insulators. In healthcare, this tech can be used to manufacture next-gen self-expanding, biocompatible, and bioresorbable implant devices and intelligent med instruments. 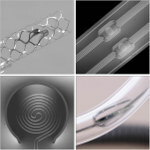 In defense, aerospace, automotive, telecom, test equipment, and manufacturing automation, the technology finds application in shape-memory alloy-based electrical actuators for robotic applications, and for the latest MEMS technology to manufacture miniaturized electronic relays, position-sensing linear actuators, micro relays, micro valves, and micro pumps. 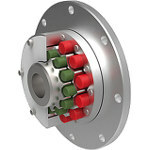 Ringfeder Power Transmission has developed a patent-pending engine coupling for mobile and stationary diesel-driven powertrains that optimizes torsional stiffness and misalignment tolerance across a wide torque range. TSCHAN TNR couplings consist of a lightweight aluminum housing and steel hub separated by one or two rows of mechanically linked, cylindrical elastomer inserts that undergo a controlled deformation under shear loads as the coupling transmits torque. Torsional stiffness and misalignment tolerance can be fine-tuned with minor changes to the composition of the elastomer, helping to solve resonance and vibration problems. 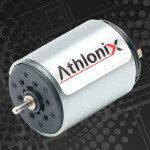 The Athlonix 24DCT miniature motor from Portescap features torque-carrying capabilities up to 14.96 mNm and provides high performance with efficiency reaching up to 90 percent while maintaining a long lifetime. This motor is ideal for battery-driven applications such as medical and industrial pumps, drug delivery systems, robotic systems (bionic fingers), miniature industrial power tools, tattoo machines, mesotherapy guns, dental tools, watch winders, and more. Two variations available: precious metal commutation and graphite commutation with a Neo magnet inside. Researchers at the Department of Energy’s Oak Ridge National Lab have made an impressive thermoplastic by replacing styrene with lignin, a brittle, rigid polymer that, with cellulose, forms the woody cell walls of plants. They have invented a solvent-free production process that produces a meltable, moldable, ductile material that’s recyclable and at least 10 times tougher than ABS. Stratasys unleashed its top-of-the-line J750 multi-color, multi-material 3D printer on the world yesterday, a machine so advanced that it sets a new benchmark for the industry as a whole. 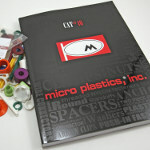 Users can choose from more than 360,000 different color shades plus multiple material properties -- ranging from rigid to flexible, and opaque to transparent -- all in the same part. Just look at this sports-shoe prototype, which was produced with full-color, smooth surfaces and a rubber-like sole in a single print operation. History demonstrates time and again that humans often do their most innovative work when they are under the greatest pressure. In the automotive industry, it was the 2012 announcement of much stricter fuel economy standards for 2025 that shook up the OEMs. Craig Parsons, President of Automotive, NanoSteel, talks about the coming generation of advanced high-strength steels (AHSS). Germany-based e-volo’s emissions-free Volocopter VC200 took its first official manned flight this month. The all-electric flyer is made of a lightweight, fiber-composite material and features 18 rotors with motors driven by nine batteries. With a 450-kg take-off weight, the VC200 requires about 45 kW to hover, depending on the air pressure/temp. Its built-in multiple redundancies help ensure stability, even if parts of the system fail, and make the unit easy to fly using only a joystick. Unlike a helicopter, the blade angle on the VC200 cannot be adjusted. The amount of thrust produced depends solely on the rotation speed of the rotors. The copter received its permit to fly as an ultralight aircraft from German aviation authorities in February, and NASA invited e-volo to present the technology at its On-Demand Mobility workshop in Washington, DC, this past March. And did we mention it folds up too?